Just For You! Personal Support Services, Inc. provides skilled nursing care for clients who need ongoing health care right at their own home. These services are provided by our registered nurses or LPN’s. 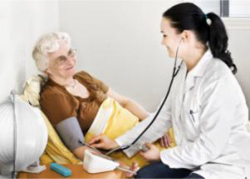 Skilled nursing care service is tailored to the patient’s health condition and needs. We take time to assess and evaluate your needs and develop a treatment plan that complements your specific condition and requirements. We will protect the patient’s medical and personal information all throughout the rehabilitation process. To find out more about our skilled nursing service, please don’t hesitate to call us at 770-991-9489 or send us a message through our quick contact form.